They had found paradise. What would they do to keep it? This book was simply amazing, completely gripping and an absolute page-turner. I’ve had it in my pile to read for quite some time and although I was interested enough to request a copy, other books seemed to pique my interest more. How wrong I was to leave this little beauty gathering dust. If you have it in your TBR pile, read it now! I love books that flick back and forth between the past and the present so I knew that once I picked this up, I wouldn't be able to put it down. You feel that all of the characters on The Blue are running away from something or perhaps simply trying to make a new start, either way they are all hiding secrets and you don't know who can be trusted. You can feel the air almost crackling with tension; on the surface they all appear to be friends but underneath alliances are being made and it's only a matter of time before the weakest may get thrown overboard. 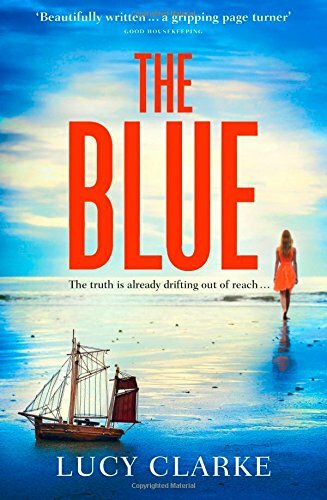 I was absolutely captivated by this story, I fell in love with the beauty of both The Blue and the scenery she sailed in. I read it so fast as I wanted to know why Lana left The Blue, what happened to Joseph and whose body is now floating in the sea. There was so much I didn't even see coming, even though the clues were there but I was just enjoying myself so much being swept along with the magic of The Blue. This really is a stunning book, it is so vivid and written so beautifully that I felt I was part of the voyage. I won't ever hesitate again in picking up another book by Lucy Clarke. Great review, this looks really good. I'll put it on my wish list for sure. Hi Suze, The Blue really got under my skin - I do hope you enjoy it as much as I did when you read it.